Olivya Wilson recently started at SCAN as the RPS Resiliency Partnership Parent Engagement Coordinator. This project, which received seed funding from the Robins Foundation, is a partnership between SCAN, ChildSavers and Richmond Public Schools. The goal of this partnership is to provide an innovative trauma-informed approach within Richmond’s most challenging schools, by embedding training, parent support and mental health counseling in 8 East End Schools in order to help young people and their families build resiliency. Olivya believes parent or caregiver engagement is a vital component of the RPS Resiliency Partnership because children need support, guidance, and commitment from those they feel closest to. Parental engagement helps boost the child’s morale, leaving them feeling encouraged and empowered. It lets the child know they are important, cared for and that someone is rooting for them and advocating for them. Positive parent engagement also models healthy relational skills for their child. Olivya’s past experience as an in-home counselor, mental health skill builder, working with older adults in hospice care, and her involvement in community engagement work through her church, the TICN and other community projects, has led her to her current role. Olivya shared that she is excited to explore new strategies and techniques to collaborate with systems, organizations, and individuals in order to reach, empower and engage parents. She stated that there is a great deal of energy around trauma-informed practices right now and she hopes that this energy can be built upon to create awareness and create long-term change. Olivya shared that she often reminds herself that work is not about oneself, but about the greater impact that we as a collective community can have by supporting each other. Olivya is originally from Newark, NJ, but has been in Richmond since attending VCU to earn her undergraduate degree in Mass Communications (2010). She spent some time working in production at WTVR. Prior to graduating from undergrad, Olivya began hearing about the social work field from a friend in her choir group at VCU, which struck a chord with her as something she saw herself doing. After this light bulb moment, Olivya obtained her Masters of Social Work Degree from VCU’s School of Social Work in 2013 and is currently pursuing her Master’s Degree in Divinity at Virginia Union University’s Samuel DeWitt Proctor School of Theology. During her time at VCU, Olivya served as an intern at Family Insight, later being hired as an Individual and Family Counselor there. In this role, she met Melissa McGinn, SCAN’s current Community Programs Coordinator and TICN Co-Coordinator. Through Melissa, Olivya became connected to the Trauma-Informed Community Network and learned more about Trauma-Informed Care. 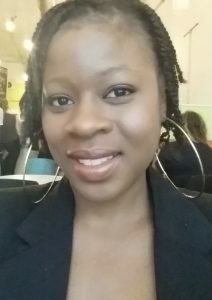 Olivya has previously worked as a Hospice Social Worker where she provided support and resources to adults diagnosed with terminal illnesses and their families, with the primary goal of enhancing their quality of life. Olivya’s other past experiences include providing mental health services to adults, at-risk youth and families throughout the city of Richmond and surrounding counties. She has also worked with the homeless population through numerous volunteer programs. Her interests led her to the TICN Community Resilience Committee, where members are working to connect city agencies, non-profits and the private sector to maximize community resilience building efforts across our community. Olivya is also involved in several community groups including the Richmond Association of Black Social Workers, the Richmond 300 Master Plan Advisory Council, and Destiny Community Church. Learn more about the Trauma-Informed Community Network HERE. To learn more about trauma-informed schools, check out the Facing the FACTs issue brief from our partners at Family and Children’s Trust Fund HERE.